1994-04 Mustang Under Hood Insulator Retainers, Pack Of 14. Putting a new hood insulator in your 1994-2004 Mustang? Don't forget your insulator retainers to finish up your install! 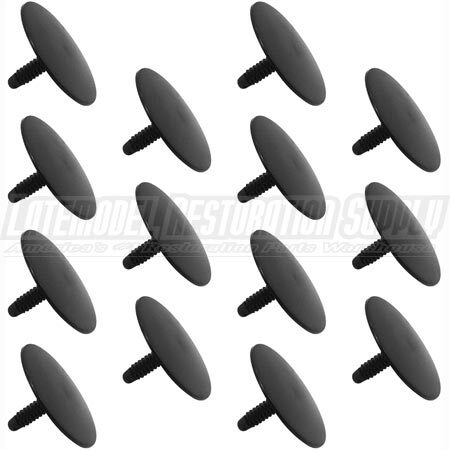 This is a full set of hood insulator retainers for your 1994-2004 Mustang. There are 14 retainers in this kit. They are made of plastic and have the correct head size to properly hold your hood insulator in place.